I believe in experiences. Not everyone can afford travelling to China but everyone can study, read and learn about the country. The world will only become a better place if stereotypes and prejudice can be exchanged for facts. There are more similarities than differences between China and the West. The few things that still differ are what make the world such an exciting and dynamic place. 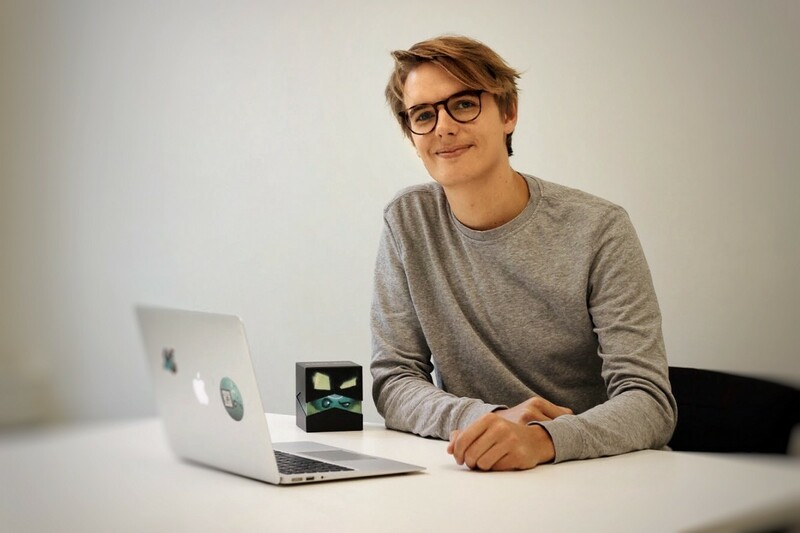 I recently had the pleasure of interviewing Felix von Heland, CEO of WRLDS Creations, a Swedish IoT (Internet of Things) company aiming to change the way mobile games are used by adding connected toys. Felix studied Chinese at Fudan University in Shanghai for one year after earning a master’s degree in finance from Stockholm University. He has since been back many times, both for leisure and for business. Ever since graduating, I’ve been financing my entrepreneurial projects by helping big companies get through tumultuous times. I’ve often been placed in the middle of structural changes and have gained insight into processes far above my experience level, which is fun. At the same time, seeing all the resistance to change in big companies made it evident to me early on that it wouldn’t be a fit for me in the long run. The problem with doing it “the other way” is, to put it bluntly, cash. Starting a project is simple, but getting the first revenue or investment to finance both yourself and the development of your project is something entirely different. So it was difficult for me to leave the well-paying corporate world and do what I really wanted. For years, I would do consulting in the daytime and run my own projects in the evenings. This is probably the best recipe for not doing either well. When WRLDS came up, it was just everything coming together. It had so much potential that I was able to get investors onboard almost from day one. It took me about a month to cut ties with my previous engagements and now, for the first time, I do only what I want to do. 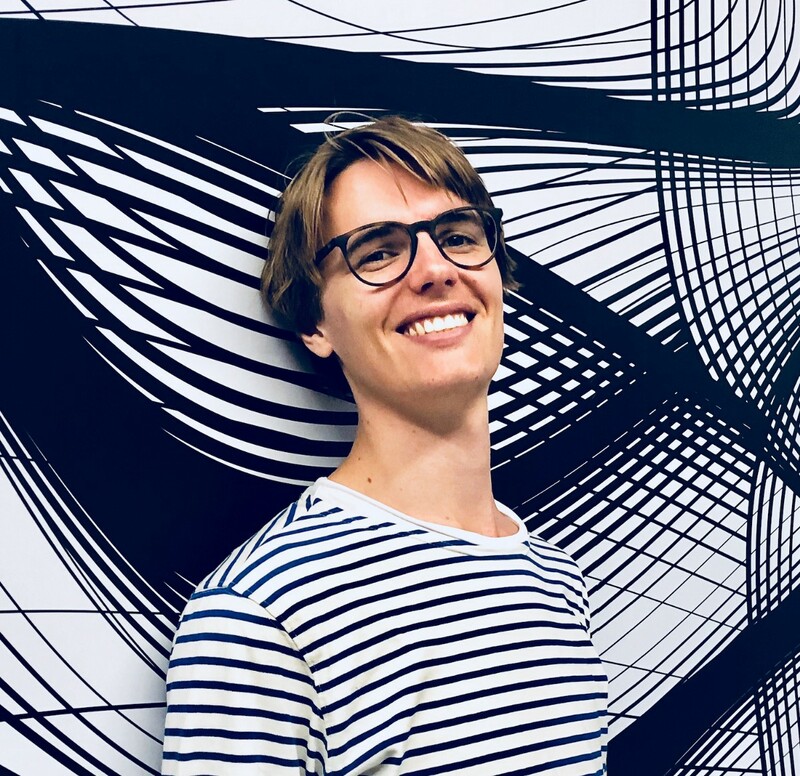 I joined WRLDS in March 2018 with the aim to create a platform for connected play. There are still not many people who know what that means exactly, and that’s part of the beauty of it. 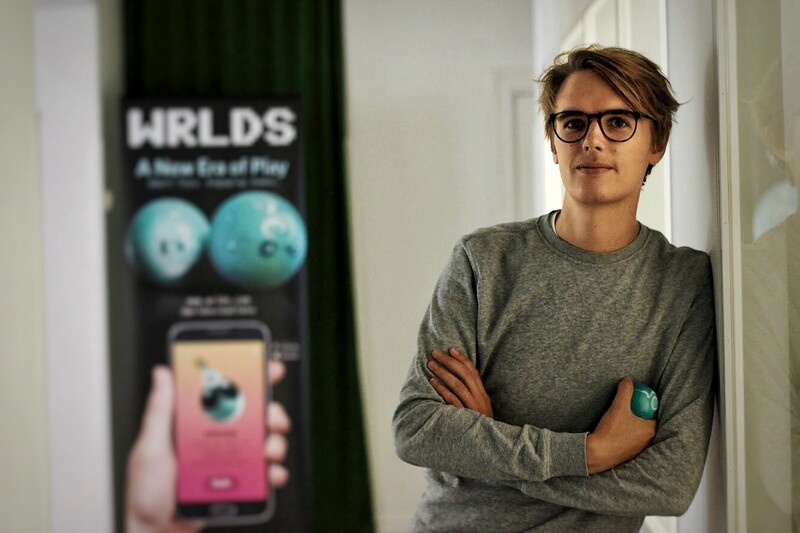 WRLDS was born in the company Waboba, a fun-loving toy company getting millions of people out to play with bouncing balls in every shape imaginable. But the toy industry is having a problem — kids increasingly prefer to stay indoors playing games on phones and tablets. Our thinking was: What if we can combine everything that’s fun in toys with gaming? So, we created WRLDS and I came on as CEO with the goal of building a tech-savvy team. Today, only a few months later, we have our first product on the market: a connected super bouncing ball that works as a controller for mobile games. I would say there are two kinds of people you come across in my line of work: the advice givers and the advice seekers. 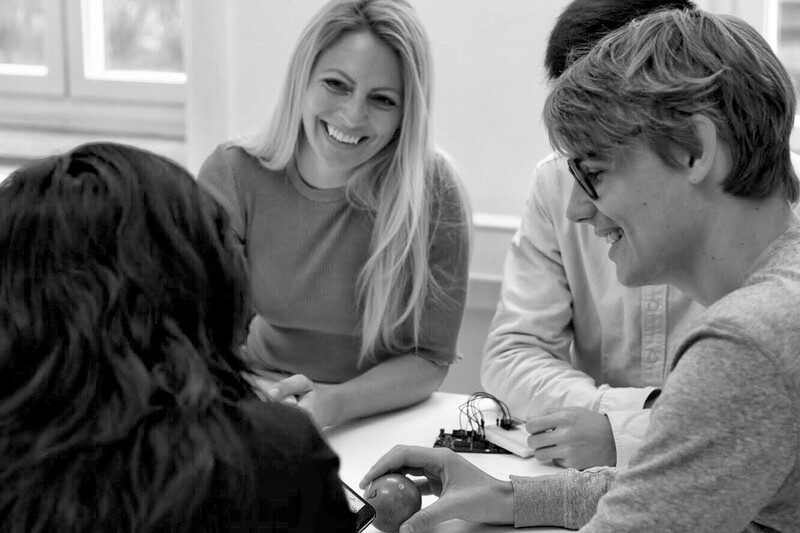 The advice givers can be a great resource but, unfortunately, the startup space is also crowded with the ones who talk without saying much of value. The advice seekers are equally important since they gather and process lots of information. I’ve found that the most valuable thing you can do is simply listen while these people unknowingly summarize what they’ve picked up. The one person I’ve learned most from is my oldest friend, Mats, who would call me after a long day of work from some random hotel in Shenzhen where he had his production. Summarizing the meetings with a seemingly endless list of factory owners, business makers and sweet talkers, he gave me a lot of the useful information that I can today apply to WRLDS operations in China. The most important takeaway is this: Be on the ground until it works and build relationships rather than legal documents. There is an old tradition in the West to see China as the place where cheap stuff is produced. The term “Made in China” is still connected with low-cost, low-quality stuff for the mass market. This is rapidly changing. During the past few years, the Chinese government has been working tirelessly to move the low-margin factories to the rural west while shifting the focus in the old production areas to high tech. I would argue that it’s easier to get access to tech infrastructure and funding in China today than it is in most Western startup hubs. Huge funds built within the government and the Chinese tech giants come down to the startup scene, which is thriving in most of the bigger cities along the east coast. To accelerate things, the approaching trade war means that the country must start developing parts, like semiconductors, that have historically been imported from higher-tech countries. It’s no surprise that we recently changed our European-made accelerometer to a Chinese-made one that performs better for a third of the cost. China is and will be, for the foreseeable future, a market with huge entrance barriers. The fact that almost none of the major Chinese unicorns have made it outside of China is a good example of this. A combination of language barriers, a business culture that few Westerners understand and a government that is involved in even the smallest details makes it hard to enter. That doesn’t mean, however, that it’s impossible or without opportunities. More and more Westerners have gone to Beijing and Shanghai to start their companies and get access to cheaper labor, shorter development cycles and, most importantly, the world’s biggest market. As more people venture out, the infrastructure will continue to improve and services helping foreigners will continue to develop. Being among the first might be tough but it also significantly improves the chances of success. When buying a product or service from a Swedish or U.S. firm, you usually find the relevant vendor on Google or through your network. A specification sheet is drafted, an offer is given and a contract is signed. A short while later you receive what you ordered and take next steps. In China, it’s nothing like that. Needless to say, Google won’t help you with China and your network is probably only good for advice on where to eat. If you want to work with Chinese companies and produce with scale, you have to be there to get the job done. You have to do the Alibaba contact forms, the meetings on the ground, the dinners, the heavy drinking and the handshakes. You have to be there when the first prototypes are being developed, tested and packed and when the first batch ships. I was lucky enough to have access to a factory and an amazing factory owner from start through WRLDS’ “mother” Waboba. It didn’t mean we could simply write an email and send a check, but it did mean we had something to start with. Building a strong relationship from a good start is so much easier and the relationship is the only thing that counts in China. It doesn’t matter how many NDAs and legal documents you sign if your Chinese partner doesn’t trust you as a person. On the contrary, coming in with the typical 500-page U.S. contract and putting it on the table is likely to be a strong sign of distrust in the eyes of the other party. The trade war is already happening and there are no winners in it. Higher costs for all and more administration means business will be lost. American high-tech companies will experience lost sales as the world’s biggest market starts making everything internally and China will lose sales from its biggest export market. We’re in the middle, producing goods for both markets, and we see the bigger distributors becoming more and more anxious. Moving production to the U.S. will never be an option in our field due to the immensely higher cost to produce and source components, but a 25 percent import tax certainly doesn’t help either. We have yet to see the effects, but we are already moving focus from the U.S. market to the rest of the world and looking at alternative solutions to do final assembly in other countries. Normally, I’m way too rational and impatient to sit down with “life-changing quotes.” I do, however, remember once when I was about 20 and had finally made it into the Royal Institute of Technology only to come to the understanding that it was the wrong place for me. I’d spent a full year studying to get there and, three months in, I was devastated, knowing that it had been a waste of time. My grandfather then said to me: “You are responsible for your own happiness.” He was an old-fashioned careerist who was now basically telling me to drop out and do something that would make me happy. Thanks to him, I did just that and started the path to where I am now.